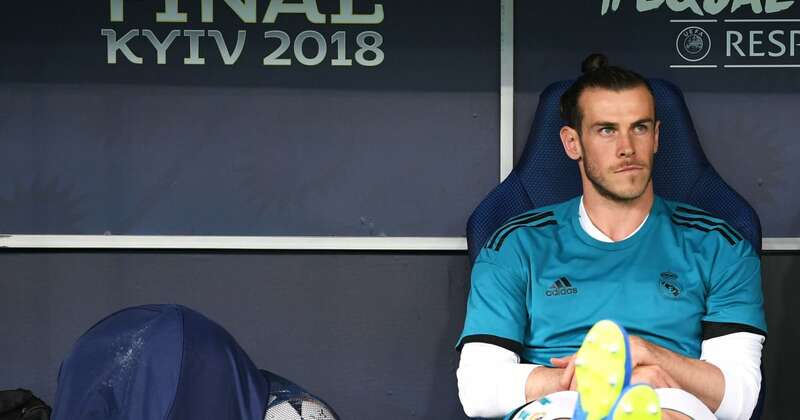 In the biggest week of Real Madrid’s season – ahead of two Clasicos, one to reach the Copa del Rey final – Gareth Bale not being Spanish has become the news story. Again. You’d think that by his sixth season at the Bernabeu?, people would be used to it. Apparently not. When Marcelo was interviewed by Marca earlier this month, the headlines became about a little throwaway line in an answer about Cristiano Ronaldo leaving the club, where the Brazilian mentioned that Bale doesn’t speak Spanish when they’re together in the dressing room. Then the floodgates opened, and years of resentment came pouring out. The reminders that ?Bale keeps getting injured, as if that’s somehow his fault. His ‘lack of integration into Spanish culture’. AS, one of the two major Madrid newspapers, ‘learned’ a few days later that Vinicius Jr., the new shining star of the club, had started learning Spanish a year before he arrived in Madrid. Just take this passage from the ?AS report on Vinicius’ Spanish lessons (which, by the way, he had talked about back in 2017 when he was taking them – it’s not new information). “He has also gained a good level of Spanish, a sure sign of commitment that both the club and his teammates have appreciated. In any other atmosphere, that would still be unusually pointed. In the climate surrounding Bale, it’s hard not to see it as a direct attack; and direct attacks on ?Madrid players in the Madrid media are not always the sole invention of the journalist writing them. At the least, the club’s darlings are not overly criticised. If there was overwhelming support within the club for Bale, that story would not have been written. ?Thibaut Courtois wouldn’t have given a long answer about the Welshman skipping a team dinner that started late in the evening (again, a more culturally Spanish thing) in order to get an early night. This wouldn’t be a public issue. But it is. And it’s not really Bale’s fault. God bless the guy, he’s tried to learn Spanish – taken years of lessons, and all that. He’s just not good at it. That’s not a failing of his personality, it doesn’t make him a bad teammate or a bad guy, he just…hasn’t been able to learn the language. He also doesn’t have the in-built advantage of being brought up speaking a language which is Spanish’s sister like some Brazilians who shall remain nameless, which…well, it doesn’t help. It’s not that he deliberately withdraws from his teammates, it’s just that, by all accounts, he’s a relatively shy guy. So it was at Spurs, so it is at Madrid. For Wales, his status makes things different, but that’s the other thing he’s never had at Madrid. He’s never been The Guy. At best, he’s been third fiddle in the pecking order behind Sergio Ramos and ?Cristiano Ronaldo, and his injuries – dipping in and out of the team, in and out of training – haven’t helped that. It’s easy to look at the interview quotes about him, the newspaper columns, and brush it off as coincidence. But it’s Real Madrid. Everyone is looking over their shoulders and playing politics. Innocent comments spiral into bigger things, and everything is read into far more deeply than it should be (yes, exactly like this). In an environment where everyone is hyper-sensitive about what they say, a barrage like this? It says more than it says. Despite his stop-start Real career, Bale has scored more than a goal every other game in the league, and over 100 goals in all competitions. He’s scored winning goals in two Champions League finals and set up Real’s only goal in another. The only Copa del Rey that Real have won in his time there was because of a stunning individual goal…from Bale. When the chips have been down in the biggest games, it’s not impossible to argue that Bale has directly brought the club more success in finals than ‘big game master’ Cristiano Ronaldo. He deserves better from the club, and from his teammates. Whatever he does in the double Clasico, and for the rest of the season, he won’t get it.